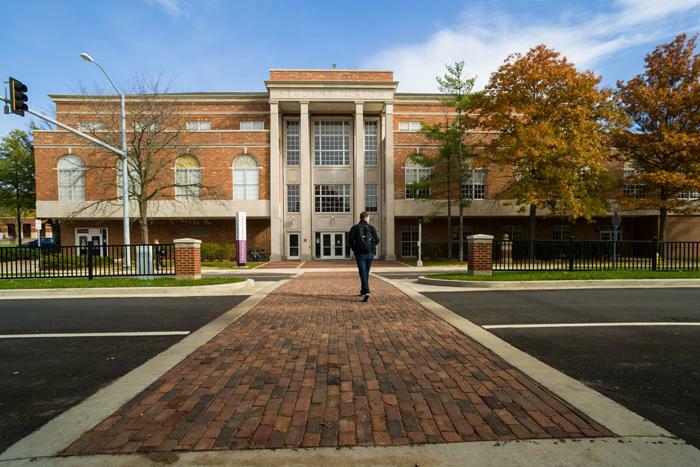 With hopes of expanding academic cooperation with institutions abroad and expanding enrollment in select Truman graduate programming, Truman State University President, Dr. Troy Paino, entered into a memorandum of understanding with the European Center for Peace and Development (ECPD), at a ceremony on Oct. 25. 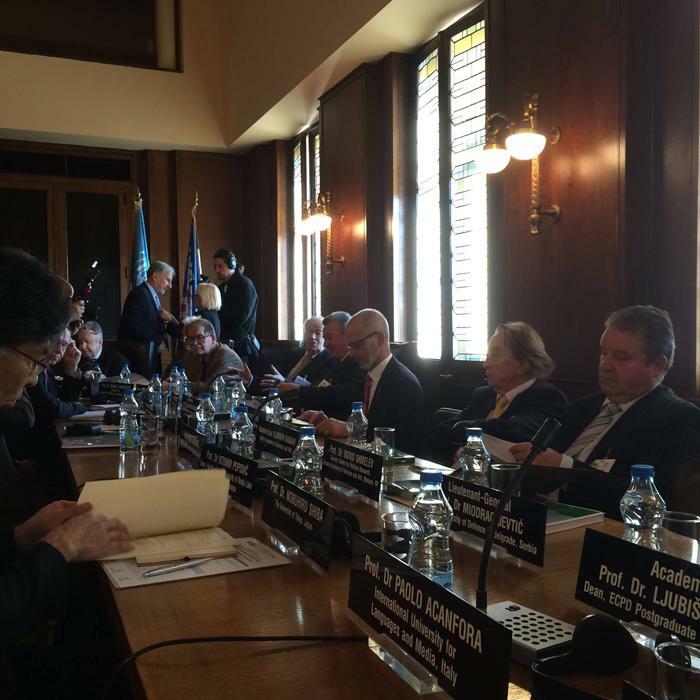 The ECPD is a branch of the UN-mandated University for Peace and collaborates with other academic institutions to help citizens of the Balkans and elsewhere receive needed education to advance peace and prosperity in their countries. The ECPD is headquartered in Belgrade, Serbia. The signing ceremony, which included Paino and the President of ECPD’s Academic Council, Dr. Don Wallace, concludes an agreement to engage in broad ranging academic cooperation between ECPD and Truman. Currently, Truman administrators are working with their regional counterparts to explore possible options for offering Truman’s master’s degree in leadership online to regional students. 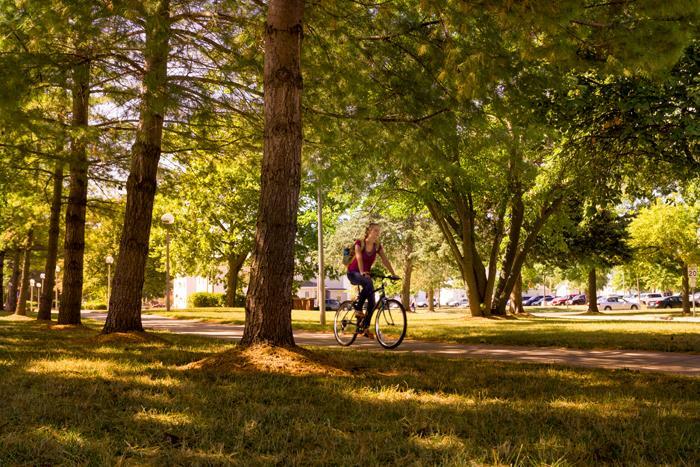 These options include the possibility of offering select coursework in one or more possible elective tracks, including content from Truman’s existing graduate certificate in sustainability and environmental studies, as well as select coursework in other fields in which regional partners have expressed interest. Patrick Lecaque, director of the Center for International Education, and Kevin Minch, associate vice president for academic affairs, accompanied Paino on the trip to the signing, staying on for additional meetings with academic and community leaders in a week-long marathon of eight stops across Serbia, Croatia and Slovenia. Dr. Negoslav P. Ostogic, ECPD Executive Director facilitated the visit, which was a follow-up to a June exploratory trip by Lecaque and Maria Di Stefano, associate vice president for academic affairs and dean of Graduate Studies. “We learned a great deal about the needs of students in this region during these visits,” noted Lecaque, an experienced scholar of the Balkan region. The team is optimistic that at least some coursework can be offered to students in the region during the 2015-2016 academic year, pending review and approval by faculty governance and accreditors in the U.S. and overseas. In recognition of Veterans Day, there will be a ceremony at 11 a.m. Nov. 11 at the VFW Adair Post 2508. Members from the Truman ROTC Color Guard will present the colors for the ceremony. The VFW hall is located off Highway 6 at 21464 Parallel Road. 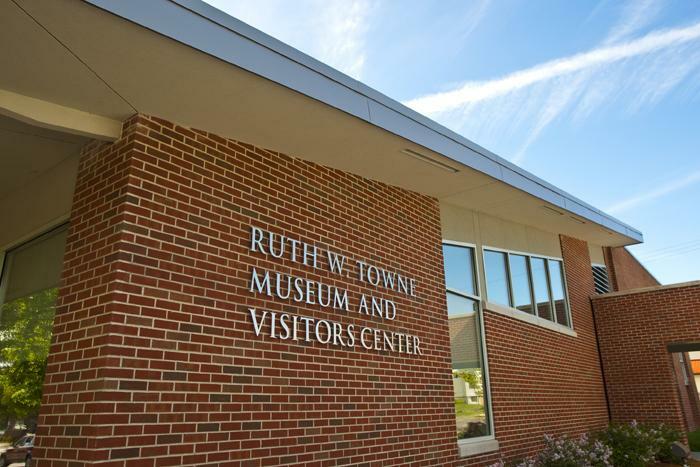 Those unable to attend the ceremony are encouraged to stop by the outside entrance to the Ruth W. Towne Museum and Visitors Center to see plaques that list the names of former Truman students and alumni who gave their lives in service of their country during World War I, World War II, the Korean War and the Vietnam War. Visitors will also find a life size “Purple Heart” bronze sculpture that was unveiled during a Veterans Day ceremony on campus in 2011. The sculpture was designed and created by Brandon Crandall who had the inspiration that the plaques needed something to compliment them. The sculpture, which faces the plaques, depicts a father reverently holding his son’s Purple Heart, a military medal awarded in honor of those who have been wounded or killed in action. To read more about story behind the sculpture and the 2011 ceremony that posthumously honored Jedh Colby Barker, a former student who named as a recipient of the Medal of Honor, visit here. Truman will celebrate donations to the University Nov. 14 by tagging items across campus made possible by private gifts to the University. 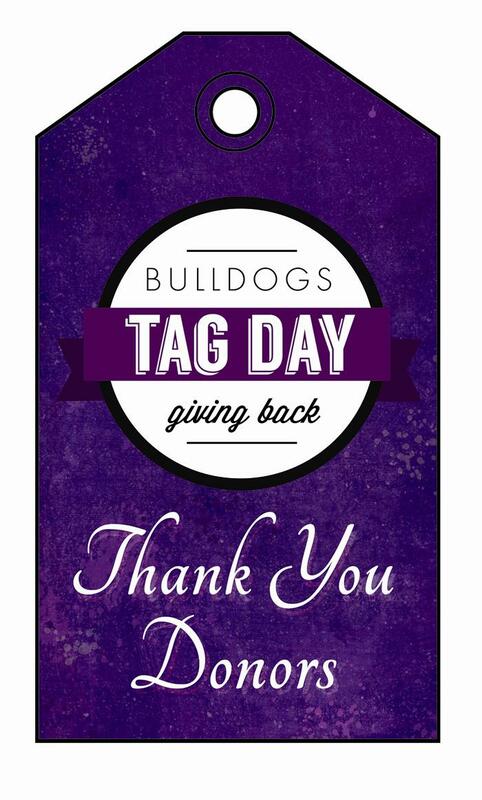 The goal of Tag Day is not only to show appreciation to donors who have given back to the University but also to raise awareness on campus of how they impact day-to-day life at Truman. Thousands of alumni, faculty, staff, parents and friends of the University invest in Truman, to the benefit of the campus community. The University has more than 600 funds. Donors support a variety of causes across campus such as scholarships, athletics, fine arts and academic departments. This year, individuals can share their gratitude by photographing tags and sharing on social media. The first 50 to share pictures on Facebook, Twitter or Instagram on Nov. 14 with #TrumanTagDay will win a free t-shirt. The Annual Fund will also be hosting a table 10 a.m. to 4 p.m. in the Student Union Building to give people the chance to sign a larger-than-life thank you card to Truman donors. 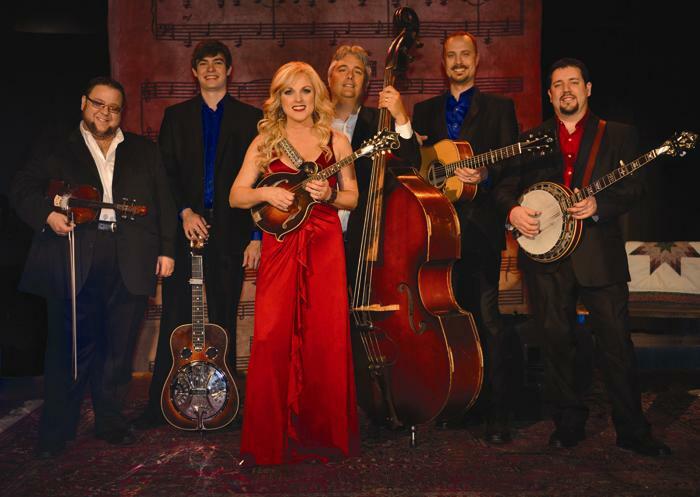 Rhonda Vincent, bluegrass artist and five-time Grammy nominee, will perform during the second event of the Kohlenberg Lyceum Series at 7:30 p.m. Nov. 14 in Baldwin Auditorium. Vincent has been selected as the Female Vocalist of the Year seven times by the International Bluegrass Music Association and was also named Entertainer of the Year in 2001. The Society for Preservation of Bluegrass Music in America inducted her into its Hall of Fame in 2014. Vincent and her band have received multiple awards and honors throughout the years. Due to the popularity of this artist locally, starting Nov. 13 tickets not picked up by the campus community will be available for the Kirksville community to purchase. Students can pick up their free ticket by presenting a Truman ID at the Student Activities Board Box Office, located in the lower level of the Student Union Building. Faculty and staff can receive their free tickets by showing their Truman ID at the Information Center in the Student Union Building. A limited number of general admission tickets are still available for $10 and can be purchased downtown at Edna Campbell’s, the Truman Cashier’s Window in McClain Hall or online at lyceum.truman.edu. The Truman Bookstore—Follett Higher Education Group is a platinum-level sponsor of this event. The Office of Graduate Studies announced a new partnership with the Peace Corps, providing the opportunity for Truman students to participate in the Master’s International program. Students participating in the Master’s International program first gain admission to the Master of Arts in Leadership program, where they would be encouraged to specialize in education, health or environment and agriculture. Admitted students then complete their application to the Peace Corps. After the assignment, students complete remaining academic requirements and graduate with a Master of Arts in Leadership degree. The program provides an opportunity to integrate international experience, cross-cultural awareness and foreign language skills with larger career goals. For more information about the Master’s International program, an information session will take place at 4:30 p.m. Nov. 13 in Baldwin Hall Room 163. The campus contact for the Master’s International program is Maria Di Stefano, dean of graduate studies. Additional information about Peace Corps volunteer opportunities can be found here. Reminiscent of the popular movie “Night at the Museum,” great speeches from history and the movies will come to life at 7 p.m. Nov. 18 at the Ruth W. Towne Museum and Visitors Center. Approximately 30 communication students from COMM 270, Advanced Public Speaking, and other communication classes will portray speakers or characters in an entertaining program organized by Barry Poyner, professor of communication, and sponsored by the Communication Club (NCASC). Students will share brief insights about the speakers and the rhetorical situation, in addition to performing excerpts from the speeches. At any given point, about half of the students will be in character. This will allow the other performers to move around and enjoy speeches as well. Speeches are from the "Top 100 Great Speeches of the 20th Century," in addition to famous movies. The list includes Richard M. Nixon’s “Checkers,” ranked No. 6, Malcom X’s “The Ballot or the Bullet,” ranked No. 7, Woodrow Wilson’s “War Message,” ranked No. 19, Huey Long’s “Every Man a King,” ranked No. 26, John F. Kennedy’s “Civil Rights,” ranked No. 46 and Ursula LeGuin’s “A Left-Handed Commencement,” ranked No. 82. The event is self-paced and is each student presentation is about five minutes. Cake and punch will also be served to honor the National Communication Association’s centennial celebration. Those attending are encouraged to vote for the best portrayal based on dress, delivery of quotes, understanding of speaker, rhetorical situation and rhetorical splendor. It is free and open to the public. Students of all majors are invited to join the Communication Club. NCASC is committed to enriching the lives of undergraduate communication major and minors by promoting the study and application of communication principles through educational and social functions. For more information, contact Poyner at 660.785.4063. The Office of Student Research will be accepting Grants-In-Aid-of-Scholarship and Research (GIASR) applications for research and creative scholarships for Spring 2015. The purpose of these grants is to promote a culture of research and scholarship while providing flexibility to accommodate different research styles and requirements. Projects should involve original ideas but may encompass a variety of activities. These include obtaining preliminary data or information, exploring new topics and continuing ongoing projects. All disciplines are invited to participate. Individuals must be current Truman undergraduates or graduate students and be mentored by a Truman faculty member. Grant applications may request up to $750 and can cover student institutional pay as well as supplies and travel to conduct the research. Complete guidelines can be found at the Office of Student Research website. All disciplines are invited to participate. Students that wish to be considered for GIASR funding should submit applications online 11:59 p.m. Nov. 21 here. For more information, contact the Office of Student Research at osr@truman.edu. The Harry S. Truman Presidential Museum and Library Internship provides an opportunity for students to spend a summer and gain experience at the Truman Library, located in Independence, Mo. The internship is open to all juniors and seniors, regardless of major, who meet University requirements for an internship. Students can earn up to 10 hours of credit for this full-time, eight-week unpaid internship, coinciding with the University’s eight-week summer session. After being selected by a University committee and the Truman Library staff, an intern may work in a variety of areas in the Library including archives, public relations, marketing, educational programming, museum development or visitor services. Assignments are based on individual abilities and interests along with the Library’s needs. Two Truman students will be selected for the 2015 summer internship. Each will receive a five-hour, in-state tuition scholarship. The internship has been made possible by a generous endowment from the family of Fred and Ethel Schwengel. Applications are due Dec. 8. For more information or to obtain an application, contact Jeff Gall at jgall@truman.edu or 660.785.7747. The Pickler Memorial Library has announced the completion of the digitized Echo Yearbook Collection. Digitization started back in 2013 with volumes from 1901-1960. Currently, all editions from 1901-2007 are now available in the Truman State University Digital Library. The Echo Yearbook Collection incorporates innovative technologies to bring the viewer an enhanced experience, including full-text search, zoom and FlexPaper. FlexPaper technology has been integrated into the digital library experience to give the viewer the ability to virtually turn each page of the Echo yearbook. The yearbooks are a welcome addition to the University’s digital library, which includes collections such as the Central Wesleyan College Archives, the Gold Rush Letters and the Sims Song Slides, among others. To view the general digital library or the Echo Yearbook Collection, visit digitallibrary.truman.edu. The Department of Public Safety (DPS) recently recovered several bicycles on campus. While at least two of the bicycles have been returned to their owners, six remain unclaimed. Students with bicycles on campus should check to see that their bicycles are still in their possession or secured to a bike rack. In the case of a missing bicycle, contact DPS. Bicycles can be claimed at the Police Department by providing details about specific identifiable custom markings on the bike, providing a serial number or proof of ownership. DPS has a Bicycle Registry Program aimed at creating a database of bicycles so that in the event of loss or theft, the likelihood of recovery will increase. The Bicycle Registry Program is a free and convenient service that DPS provides for the students, faculty and staff. As a reminder, anyone operating a bicycle must obey the same traffic control regulations that apply to cars and motorcycles, such as stopping for stop signs and riding in the right-hand portion of the roadway. Bicycles ridden after dark must be equipped with a headlight, large red reflector on the rear, and white or amber pedal and spoke reflectors. For more information, contact DPS at 660.785.4176 or visit here. The Department of Music will host its annual Percussion Fall Sampler Concert at 8 p.m. Nov. 10 in Baldwin Auditorium.Directed by Michael Bump, professor of music, the concert will feature the Truman Concert Percussion Ensemble I and the Statesmen Marching Percussion Ensemble. The ensembles will perform a wide variety of music written expressly for percussion ensemble, as well as music from this fall’s Statesmen Marching Band show. There is no cost to attend. For more information, contact Bump at 660.785.4052 or mbump@truman.edu. James McKean, poet and essayist, will read from his book of essays “Home Stand: Growing Up in Sports” and his recent collection of poetry “We Are the Bus” at 7:30 p.m. Nov. 11 in Violette Hall Room 1010. McKean has published three books of poems and a book of essays. His essays have appeared in an edition of “Best American Sports Writing” and received a Pushcart Prize. “We Are the Bus” also recently was awarded the X.J. Kennedy Poetry Prize. McKean teaches for the low-residency Master of Fine Arts program at Queens University in Charlotte, N.C., the Tinker Mountain Writers’ Workshop at Hollins University in Roanoke, Va., and the Iowa Summer Writing Festival in Iowa City, Iowa. The reading is sponsored by the Department of English and Linguistics and is open to the public. There is no cost to attend. As part of the “Science and Mathematics Distinguished Speaker Series,” the School of Science and Mathematics is sponsoring speaker Jerry A. Coyne at 7:30 p.m. Nov. 11 in Magruder Hall Room 2001. His lecture, “Why evolution is true but most Americans reject it,” explains the evidence for evolution, the reasons many reject the evidence and solutions to overcome this rejection. The event targets those interested in science and math. There is no cost attend. Abstract: In the 1940s, the FBI ran a little-known political surveillance operation in Latin America called the Special Intelligence Service (SIS). In January, Marc Becker tripped across documents in the United States National Archives that reveal the extent of its penetration into Latin America. The original justification for sending hundreds of FBI agents, many of them undercover, was to combat German Nazi influence in Mexico, Brazil, Chile and Argentina. But the mission did not stop there. The agency placed 45 agents in Ecuador, a small country that never was the target of German espionage networks. With the decline of the Nazi threat by 1943, the FBI shifted its entire intelligence apparatus to focus on FBI director J. Edgar Hoover’s primary obsession with communism. As a result, historians are left with a rich source of documentation of the history of Latin America left during the 1940s. Multicultural Italy will feature two films directed by Fred Kuwornu. A reception with Kuwornu will take place after the film on Nov. 14. Sponsored by the School of Arts and Letters and the Department of Classical and Modern Languages. A celebration of Aldo Leopold, the father of wildlife management, will take place at 1:30 p.m. Nov. 14 in Baldwin Hall 176. The event will feature Dr. Susan Flader, Aldo Scholar and professor of history at the University of Missouri. All events are free and open to the public. For more information, contact Jason Luscier, assistant professor of biology, at jluscier@truman.edu. The Music Department will host noted composer John Muehleisen, composer-in-residence and artistic advisor for the Seattle-based Opus 7 Vocal Ensemble, Nov. 14. Muehleisen will meet with the student chapter of the Society of Composers, Inc., at 9:30 a.m., before presenting at 10:30 a.m. and 11:30 a.m. in Ophelia Parrish Room 2111. During the first presentation, Muehleisen will discuss his creative work and his most recent commission, a choral composition entitled “A Psalm of Life.” During the second, Muehleisen will critique student compositions, offering advice and suggestions. “A Psalm of Life” was commissioned by the Quincy Symphony Chorus to honor Phyllis Robertson, chorus director and Truman voice professor, as part of the chorus’ 25th anniversary season. The work will premiere at the Quincy Symphony Chorus “Legacy of Song” concert, which will take place at 7:30 p.m. Nov. 15 at Quincy’s Salem Evangelical United Church of Christ in Quincy, Ill. 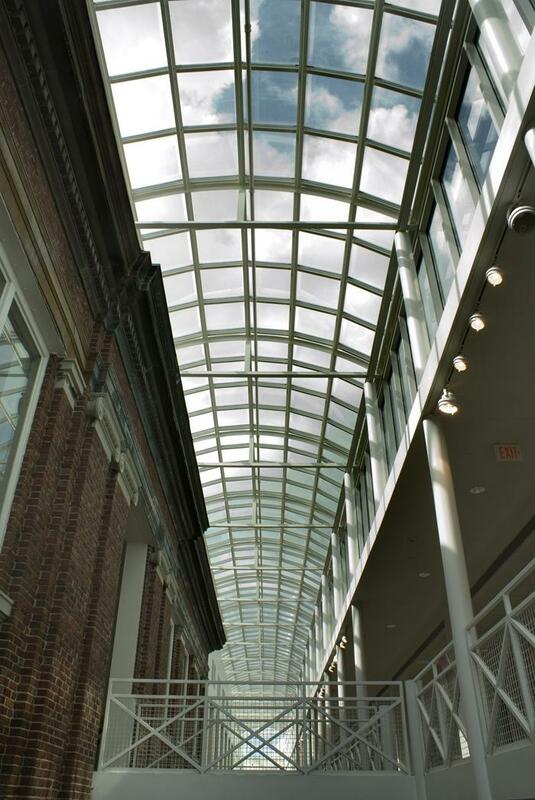 Admission is free for faculty, staff and students with a Truman ID. General admission is $18. Children 18 and under are free. For more information on the concert, visit www.qsoa.org. For more information about Muehleisen, visit johnmuehleisen.com. “Broad City” is a comedy show that centers around Ilana Glazer and Abbi Jacobson. They started out as a cult hit web series in 2009 on YouTube where Glazer and Jacobson found humor in their day to day lives as two twenty-something women living in New York City. The web series continued until early 2014 with their debut on Comedy Central as a television show with executive producer Amy Poehler. The show has been featured in the New York Times, MTV and “Late Night with Jimmy Fallon.” It also was nominated for the 2014 Critics’ Choice Television Awards: Best Comedy Series. “Broad City” has been renewed for a second season on Comedy Central that will start in January 2015. Doors will open at 6:30 p.m. The event is free for students with a Truman ID and $5 for general admission. Tickets are available in the Student Activities Office, located on the lower level of the Student Union Building. The Student Recreation Center will have free body composition assessments from 2:30-5:30 p.m. Nov. 18-19. Tests include measuring body fat percentage, blood, pressure, waist-to-hip ratio and body mass index. Sign up at the weight room desk or email mkolenda@truman.edu. Assessments will also take place next semester Jan. 26-29. Abstract: Jesus of Nazareth, born into a Jewish family, became identified as the founder of a distinctly non-Jewish (and sometimes anti-Jewish) Christianity. As early as the second century, and well into the Middle Ages, Christians struggled to address Jesus’ putatively Jewish childhood in terms that made sense of the eventual split between Judaism and Christianity. In this talk, I will analyze a range of apocryphal Christian narratives, polemical set-pieces and even a few early Christmas carols that deploy the infancy or childhood of Jesus in an effort to define boundaries between Judaism and Christianity. 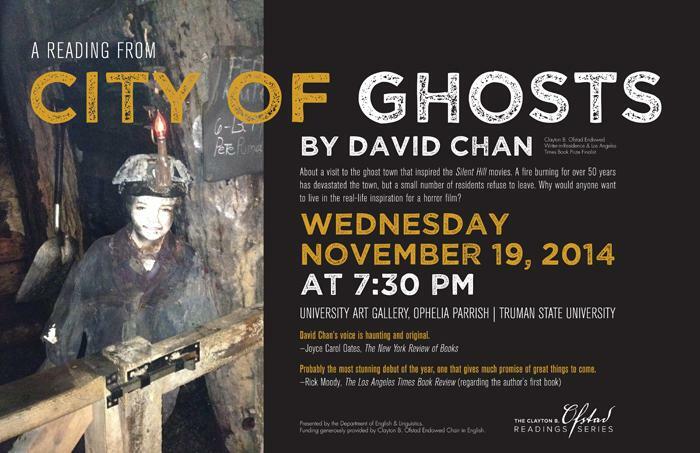 As part of the Clayton B. Ofstad Readings Series, David Chan, Ofstad endowed writer-in-residence and Los Angeles Times book prize finalist, will read from a selections of prose at 7:30 p.m. Nov. 19 in the University Art Gallery. The selection will include an essay about the ghost town that inspired the Silent Hill horror movies. The event is free and refreshments will be served. 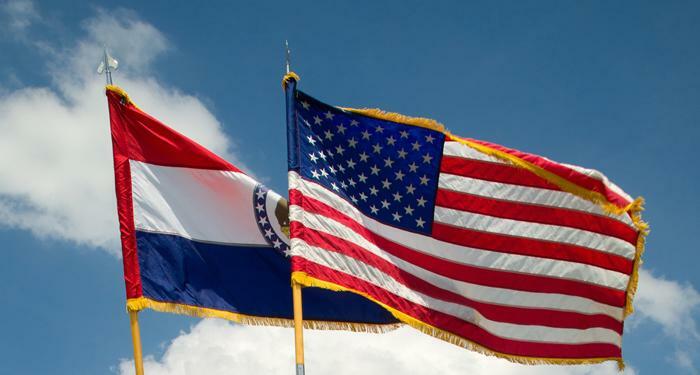 Thanks to agreements between Truman and two separately operated historical museums, Truman students have the opportunity to apply for summer internship positions in both St. Louis and Kansas City. Both the Missouri History Museum in St. Louis and the National World War I Museum in Kansas City are seeking individuals with strong written and verbal communication skills, strong organizational skills, the ability to work independently on multiple tasks and knowledge of basic computer skills. All eight-week, 20-hour per week internships will coincide with the University’s eight-week summer session. Although positions are unpaid, students can earn between three to five credit hours. Selected individuals will need to enroll for academic internship credit with an eligible department. The Department of History will approve credit, but students should verify with a departmental head or advisor if interested in other credit. Interested in studying abroad for the Spring 2015 semester? Look for CCIS programs that have moved back their application deadlines. The program in Shanghai, China is low-cost and features new course options. There are opportunities to study business, culture and language. The deadline is Dec. 1. For more information, visit the program’s website here. The Multicultural Affairs Center and the SERVE Center are looking for 150 Truman students, faculty and staff to spend Jan. 19, Martin Luther King, Jr. Day, completing service projects across Kirksville. Michael Ashcraft, professor of philosophy and religion, has accepted the position of section editor of “New Religions” in the online journal “Religion Compass.” He will be responsible for commissioning three to five essays per year that survey various issues in the field of new religions. Daniel Mandell, professor of history, has been elected a member of the American Antiquarian Society, the research library in Massachusetts founded over 200 years old that holds the largest collection of materials printed in North America through 1876. Members are elected by their colleagues in recognition of scholarship, for support of cultural institutions or for distinction as community or national leaders in humanistic affairs.